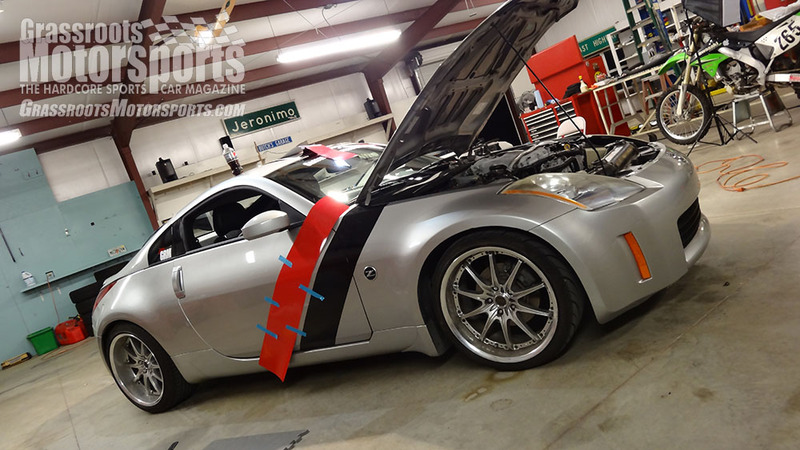 Apply a little tape on your tape, dawg, to test out your design. Our iPhone's angle finder came in handy. Add razor blades and some vinyl die-cut logos, and voila! Instant race car. 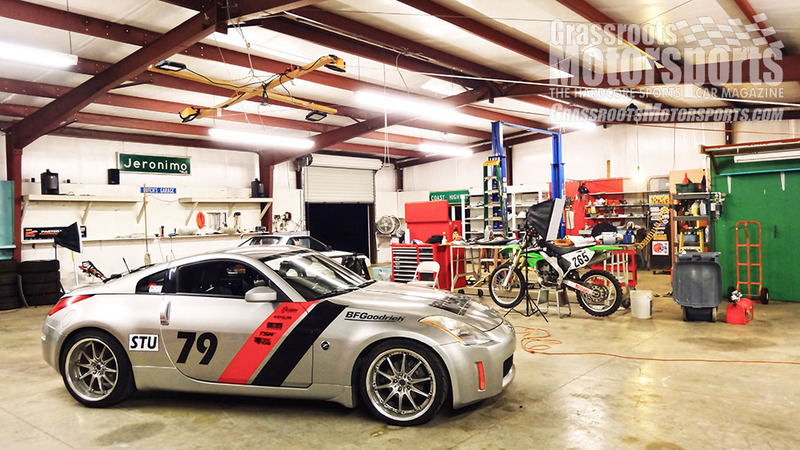 When we pulled the 350Z out of the mothballs, our motivating device was to get it ready for the SCCA’s Dixie Solo National Tour in Cecil, Georgia on the third weekend of March. Doing the mechanical work got it drivable, but we thought it needed a little facelift befitting of a proper magazine project car. Without much time to spare, though, we wouldn’t be able to implement a big graphics package. Our solution was simple: Head to our local sign shop, have them cut us 20 feet of stripes in official GRM corporate colors, get a big box of razorblades and see what happens. In the end, we decided that the simplest solution was a design based on the time-tested BRE Datsun livery of years past. We roughed out some stripes, held them in place with masking tape while we fine tuned a bit, used the angle finder function on our iPhone to line stuff up as best we could, and in about three hours we had something resembling a real live race car. Or at least something that will set us apart in the paddock a bit. Sadly, our wheel and tire package has not shown up yet, victims of winter weather slowing down shipping. Between our 340-tread wear tires and mismatched suspension components, we’re not looking to be terribly competitive. We just want to set a baseline to improve the case from. We will be looking good, though. Those stripes add a nice flair -- well done! Yeah, JG did a really nice job with the graphics. The car looks good in real life.